The API can be used with many languages and frameworks. Visit the website and click on Try the API. Select PHP as the language of choice since we’ll be working with PHP. The tutorial should give you a good overview of the type of notifications we can get with Stream. 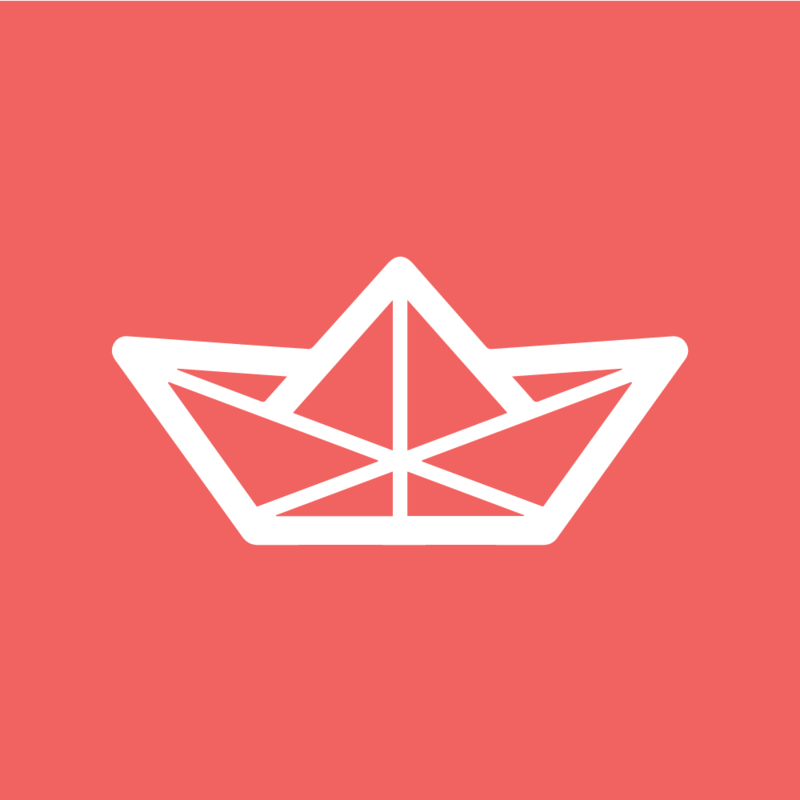 There’s an official package for Laravel, which makes it even easier to integrate this service into any Laravel app. For this tutorial, we are going to use an existing project to try out the Stream API. Just clone this repo. It’s a simple Laravel 5.4 blog where users get to perform CRUD operations on blog posts. 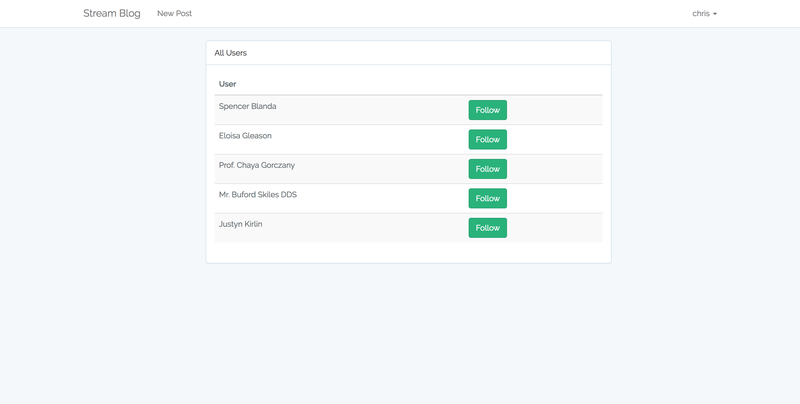 We’ll add the ability to follow other users shortly. We will then create feed sections with different types of notifications telling us who did what and when. Our main focus in this tutorial will be on people creating new blog posts and following each other. The complete code for this tutorial can be found here. It’s recommended you use Homestead Improved for quickly getting up and running with a professional development environment that contains everything you might need. The app has some seed data to generate 10 posts. If we serve our app and visit /posts, we should be greeted with ten posts. All set! We can now sign up new users and even create blog posts. The link to create a new post is in the navbar. Let’s add the ability to follow other users. By following another user, we’ll be updated on their activities i.e. creating new posts or following other users. With the relationships defined, we can now add the ability to follow other users. Let’s define the routes for the follow and unfollow actions. We want to limit the follow and unfollow actions to authenticated users, that’s why we placed these routes inside the route group with the auth middleware. By visiting the URL /users, we should see names belonging to the signed up users. We want to add a button next to the user’s name allowing users to follow and unfollow each other. Try following the first person in the list. Notice the color change in the button. Stream will help us get notifications whenever someone we follow performs an action. For this tutorial, we want to be notified whenever they create a new post or follow another user. We also want to get a notification when someone follows us. This will create the config/stream-laravel.php file. We are supposed to set our credentials in this file once they are created in the Stream Dashboard. We get the API key, API secret, and API app id once the app has been created. The keys are accessible from the dashboard. user feed which is of type flat (flat feeds render activities without any grouping and this is the default type of feed in Stream). This feed displays all actions for a certain user. timeline feed which is also of type flat. This feed shows what has happened recently. timeline_aggregrated which is of type aggregated (aggregated feeds render activities in a grouped format based on the activity type). This type of feed allows the user to specify an aggregation format. notification feed which is of type notification. Similar to aggregated feeds, however, notifications can be marked as read and you can get a count of the number of unseen and unread notifications. We should set the received API key, API secret, and API app id in config/stream-laravel.php file in order to communicate with Streams API. We should also set the location for good measure. Let’s place these keys and their corresponding values in our .env file then load them into our config/stream-laravel.php with the env helper that Laravel provides. This should get us up and running with Stream. Let’s now explore some of the features that come with Stream. Every time a Post is created it will be stored in the feed of the user who created it, and when a Post instance is deleted then it will be removed as well. I suggest we delete this activity as we’ll be updating our Post model soon, changing the verb to created. As it stands, the verb is app/Post. To delete the activity just check the box next to the activity and a menu with the option to delete the activity will pop up. If we don’t do this, we’ll run into issues later on when rendering feeds. I must admit that setting up Stream took a while but once done with this, we are in a position to start using the various methods offered by the stream-laravel package to build feeds and notifications. In the next part of this series, we’ll be looking at how to configure our models so that they can be stored in feeds as activities. We will also look at how to get different types of feeds and render them on a view. Stay tuned!